Napping couldn't be more comfortable! Sleeping will never be more comfortable or dark than with this comfy eye mask. Unlike other eye masks, this one is actually comfortable! Who knew?! This eye mask has a super soft fleece on the back so that your face will feel snug. The front is personalized by you! There is an black elastic band that goes behind your head. The band is stretchy enough to be a one size fits all. The black lining and elastic give it a nice finished look. 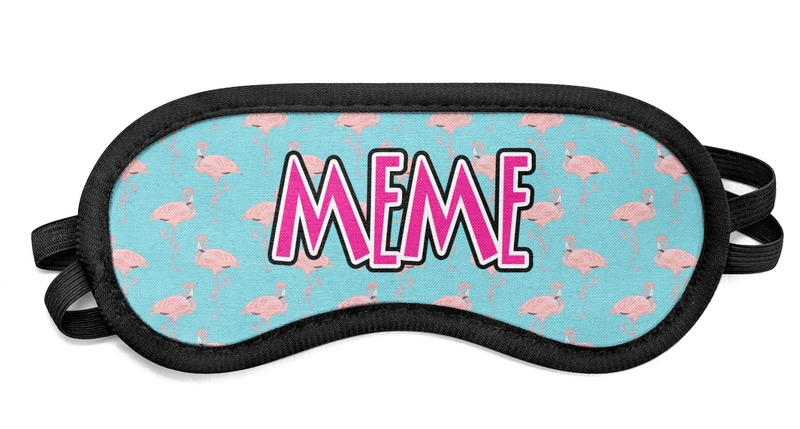 You will never sleep or nap more comfortably than with this eye mask. These are great for napping when traveling or just at home! Personalize the front of your mask with something that looks like you. You can even put a fun saying or graphic to make those around you laugh! Choose from our plethora of graphics and backgrounds to create the perfect design. Looking for a great night's sleep? Check out our customized bedding! We have great comforters as well as duvet covers. Even pick up a body pillow case if you like! The product was done perfect! Loved it! The company shipped the item quickly. High fives all the way!